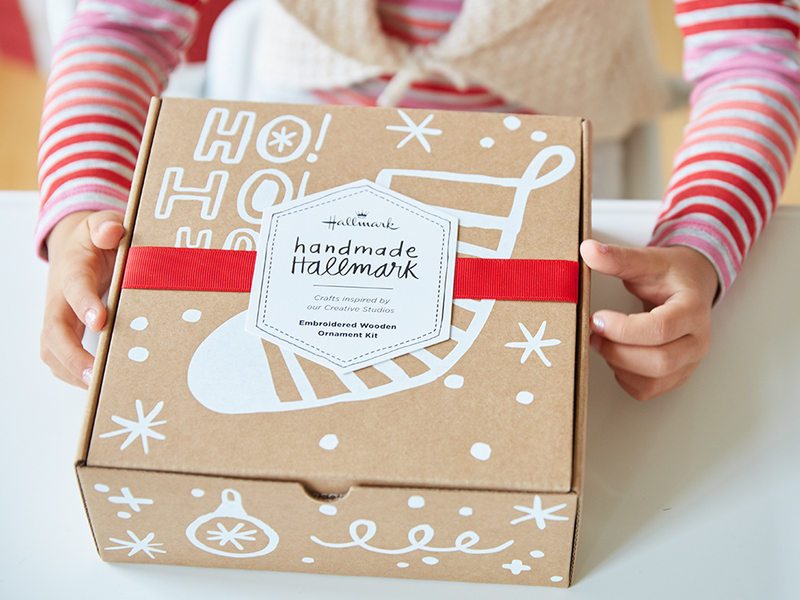 Our maker kits called “Handmade Hallmark” came from the idea of families gathering and crafting together, especially around the holidays. I initially concepted and fully developed six Handmade Hallmark kits to get buy in from our internal product teams. Once the idea was sold through, I developed two ornament kits for Gold Crown and shared the story across platforms to drive sales and boost awareness. "They are these cute, adorable, super-fun maker kits called “Handmade Hallmark” that came from the idea of all of us gathering and crafting together, especially around the holidays. Today, I’m going to share with you the Wooden Ornaments Kids’ Kit. One of my favorite things about the kit is it’s mistake-proof. You can’t mess it up. Your creations are all-original and all-you. So have at it: Color, glue, place, hang, repeat! Lucy had a great time adding her special touches."